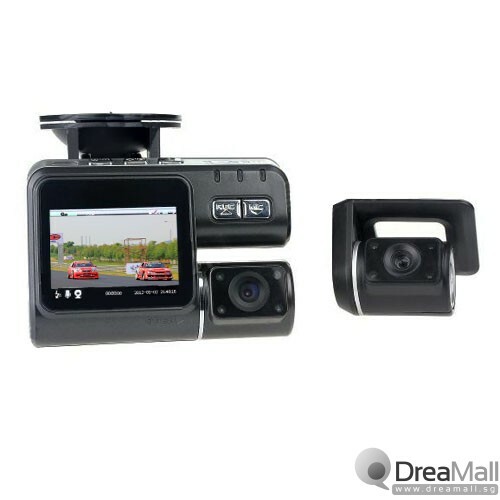 2.0 inch TFT 5.0MP CMOS 8 LED Car DVR is one of the technologically advanced car accessories available in all leading stores all across the globe. It's carefully designed and assembled by experts in this niche hence quality is assured at all times. 8 LED night vision capabilities is one of the major features that gives it an upper hand in the market. It has the capacity to give users a clear view even at night. In addition, it comes with a user - friendly remote controller that one can use to explore all its unique features. For example, you can adjust images or focus range in seconds by pressing some keys on the remote controller. Other unique features that make it the ideal gadget for your car include a Car Charger, a back clip, a car mounting kit, a reliable audio system and the list continues. Purchase it today and experience a whole new level of class and elegance. 8 LED night vision car DVR for clear viewing at any time even in the dark.